Jacoby & Meyers is America's largest full-service consumer law firm, founded in 1972 with the goal of making top-quality legal representation available to everyone. Up until that time, only the wealthy could afford lawyers, while the poorest were provided with legal aid. This left the majority of everyday working people with very few options. Today our New York and New Jersey offices represent plaintiffs in all types of personal injury claims. Since our founding, Jacoby & Meyers has grown to become one of the largest, best known, and most innovative law firms in the country. We remain dedicated to providing our clients with personal service and unsurpassed legal representation while preserving your dignity and privacy. We strive to keep all communications clear and straightforward and will provide case evaluations so that you fully comprehend your case. 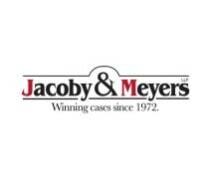 As a Jacoby & Meyers client, you will have your own dedicated legal team. Led by an experienced attorney, your team will have the expertise necessary to meet the unique needs of your case.